There are plenty of ways to increase your protection online, such as using one-time generated passwords for your routers. Most routers have some sort of default username and password that comes on the system when you open the box. While some of these come randomized, there are also some that do not. If you see one that says user: admin and password: password, then your password was not randomized. Changing this can increase your security level. If the passwords are not randomized, chances are that they are available to the general public with either a simple google search, or just looking at another password randomizer. Your passwords are one of the more simple ways to secure your account, but you can even take it one step further than that. Blizzard, the company behind World of Warcraft, has been offering a battle.net authenticator for quite some time now. This was a small device turned application that would provide a code that would refresh every 30 seconds or so. This provides a significant increase in security as guessing this code is near impossible in the amount of time it takes to refresh. 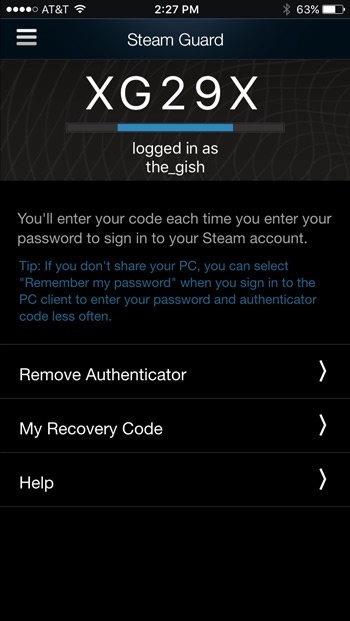 Steam also took on this idea of a randomized code entry whenever a login request is processed. Both of these systems have also recently added a feature that allows you to just press allow or deny instead of a code. This allows people to have an easier time logging in as well as informing them whenever a login attempt was made. For example, if you are not trying to login and are at work or something, then you get a request, you know that somebody is trying to compromise your account. There are plenty of ways that you can increase your security such as fingerprint scanners, color coordination, and just having a more intricate password are all good ways to help out your security. Now Cyber Security, in general,is a very broad topic to talk about, which is why I focused mainly on password protection and security. There are probably hundreds if not thousands of other areas where you can find more information if this is something that you are interested. One such source, that I would recommend would be the University of Advancing Technology Experience (UATX) event that is being held tomorrow on August 28, 2017. This is an excellent opportunity to learn more about cyber security and similar topics, as well as get some information about the degree programs offered in the field.